Dr. William Winterholler graduated from Skyview High School in 1996 and pursued his undergraduate at Brigham Young University in Provo, Utah. He attended dental school at Creighton University in Omaha Nebraska and graduated in 2005 in the top 10% of his class. Upon graduation from dental school, he entered private practice in Omaha and accepted a faculty position at Creighton University teaching operative dentistry. Dr. Winterholler has always had a love for Billings and the state of Montana and chose to bring his family back to the area in 2006. 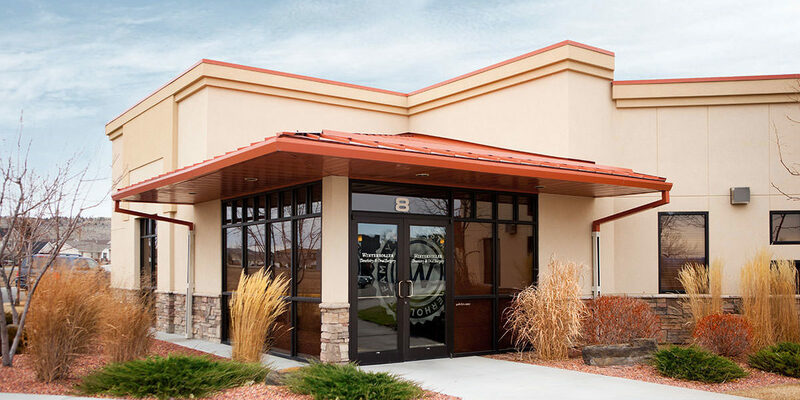 Since returning to Billings, Dr. Winterholler has pursued extensive continuing education in Dental Implants – Billings, Laurel technology, full mouth implant rehabilitation, Cosmetic Dentistry Billings – Cosmetic Dentist Laurel Winterholler Dentistry and numerous other techniques and procedures. He has a passion for excellent dentistry and enjoys utilizing the latest in dental technology, including CEREC. He prides himself in listening to his patients needs and trying to provide the best dentistry has to offer. He is active within the dental community, his church community and most importantly with his family. Dr. Cody Winterholler attended Brigham Young University for his undergraduate degree and graduated from Creighton University’s School of Dentistry in 2013. He then went on to a one year Oral Surgery Fellowship where he received advanced training in IV sedation, wisdom teeth removal and dental extractions. Dr. Winterholler is a native of Montana, raised in the Billings area. Prior to joining Winterholler Dentistry in Laurel, Dr. Winterholler worked in Nebraska and Iowa as an Associate Dentist in private practices. He married Chelsea in 2007 and has three young boys. Dr. Winterholler is an avid golfer and loves cooking, especially barbeque. Dr. Tokos was six years old when she emigrated from Transylvania, Romania to the USA. In 2005, she graduated High School in Texas from Hirschi Magnet High School. After completing a year of the pre-dental program at MWSU, Dr. Tokos moved to Budapest, Hungary to learn more about her heritage. There, she attended Semmelweis University Dental School. Dr. Tokos practiced dentistry for a time in Budapest before moving back to the USA to pursue to her American Dental License. After graduating at CUSDM and receiving her US DDS license, she worked as a dentist in Colorado. She later moved to Montana, where she now calls home. Dr. Tokos practiced dentistry in Billings for three years until taking her current position at Winterholler Dentistry. Dr. Tokos’ goal is to help others understand the importance of dental health and its connection with one’s systemic health. She actively participates in various dental organizations and continues to further her education in the dental field as it rapidly evolves with new techniques and technology. Dr. Tokos and her husband have an energetic daughter and one miniature shorthaired Dachshund. Dr. Tokos enjoys exploring new places with her family, reading books, exercising, and traveling around the world.